Yes, we are much older that we would like to be, but still young in heart! 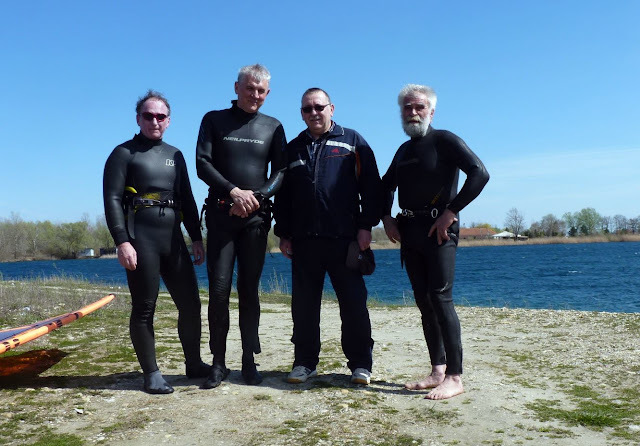 The four of us (Zok, Adi, Korda, Jura) started the windsurfing club Aquacity Varaždin, Croatia, some 20 years ago. And here we are, on the same small inland lake, on a warm sunny day with nice south wind. Precious. Who said that you people are old? You all still look so young and energetic.I love your windsurfing club,good to pass a quality time there.